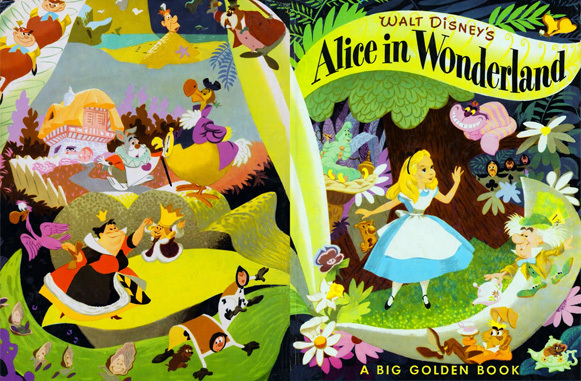 If you’re a fan of Little Golden Books, or indeed the mid-century illustration by the likes of Mary Blair, Mel Crawford, Tom Oreb, Alice and Martin Provensen — to name a few — drag yourself over to the Golden Gems blog immediately. Be sure to delve into the Walt Disney and Hanna Barbera stuff too. Between 1924 and 1926, Claude Friese-Greene filmed “The Open Road” — a documentary of the United Kingdom from Lands End to John O’ Groats. What’s most remarkable about this footage is that it’s shot in colour using a process called Friese-Greene Natural Colour, based on the Biocolour process originally developed by his father William. This is an eleven-minute segment of that film, restored by the BFI, shot in London. 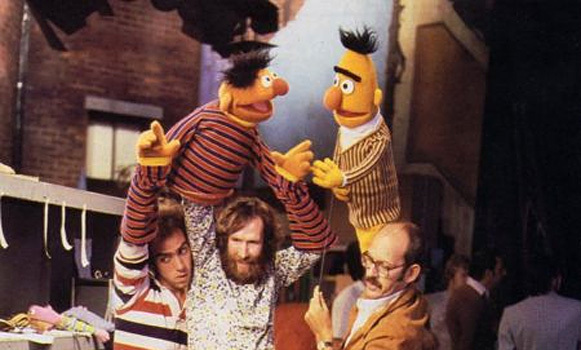 It’s hard to believe but Sesame Street was born 40 years ago to this day. The show was originally conceived in 1969 to teach less advantaged children, through the means of television, so that they would arrive in school with the same preparation as middle-class children. The show’s 40th season also starts today featuring new title and end sequences, First Lady Michelle Obama and its very first CG-animated block, Abby’s Flying Fairy School. To celebrate, Google has shown a whole bunch of Sesame Street-inspired logos throughout the last week. They have them collected in higher resolution on their website, including all the localised ones that you may not have seen in your country, along with a “behind the scenes” look at the making of the final day’s logo, below. Why did Britain fall out of love with Sesame Street? Dreamworks have released a teaser trailer for their forthcoming animated feature “How to Train Your Dragon” — although billed as if it’s from “the makers of Shrek and Kung Fu Panda” it’s no such thing! Dragon is written and directed by Chris Sanders and Dean Deblois. These were the guys behind the unjustly overlooked and under-rated Lilo & Stitch (which, incidentally, is right up there on my list along with The Iron Giant — the other other under-rated animated movie.) and, yes, that’s the same Chris Sanders who may or may not have been booted off production of Disney’s Bolt (formerly American Dog), who then went to work at Dreamworks where he directed an animated adaptation of British novelist Cressida Cowell’s book, How to Train Your Dragon. Those familiar with Sanders’ work will quickly recognise his hand. The trademark big eyes and stubby noses are there, although he appears to have made a decision not to include any Viking girls in bikinis. Maybe he’s saving those for the sequel. The first, highly anticipated, full trailer for Toy Story 3 has been released and is showing, in the US at least, before the Toy Story 3D double feature. 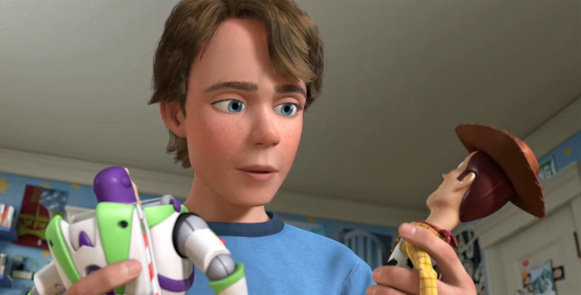 It features a nice VHS-esque flashback of Andy’s childhood before he heads off to college, leaving Buzz, Woody and the rest of the toys behind. (HD movie down, but it’s still on YouTube if you’re quick.) It’s back again. It’s quite staggering how much CG animation has progressed over the past 14 years… For the re-release the original Toy Story was rendered 86,400 times more quickly than it could have been done in 1995. Also good to see drooling babies stuffing toys in their orifices. I don’t think Pixar have done that since 1988′s Tin Toy! Update: Disney have, unsurprisingly, pulled the trailer. It will be back again soon — probably after its official web-wide release. It’s no secret that I’m a big fan of all aspects of animation, from concept artwork to storyboards to roughs to the finished scene. 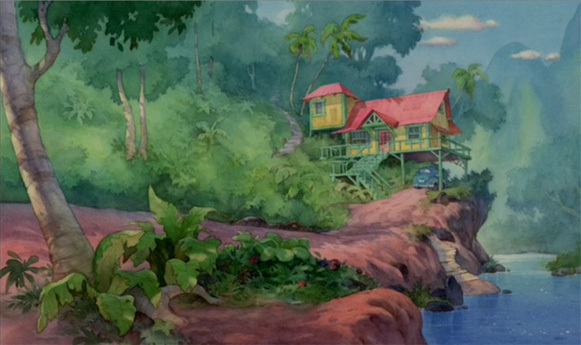 One often overlooked piece of the animation puzzle is the humble background. Whilst the eye is drawn to the life of the moving characters on screen little attention is often given to the illustrated scene behind. Ok, “game” might be pushing the term a little bit but it’s still good fun. Much like other location based social services like Brightkite and Foursquare, Gowalla allows you to “check in” to locations in the real world to update your profile on the website and on the iPhone app. 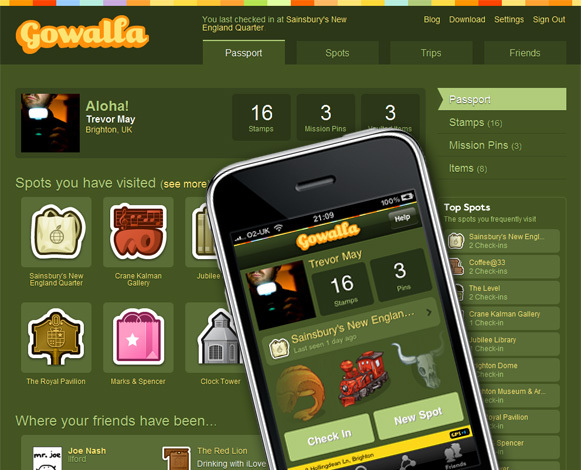 What makes Gowalla a little different is that it’s been created by Alamofire, the people behind the moderately addictive Facebook card collecting and trading (stealing) game, Packrat. Simply, as you check into places in the physical world (using GPS — no cheating here!) you might find that someone who has checked in before you has dropped a virtual item and, if you want it, trade it for an item in your possession. Trading, checking into locations and other actions offer rewards in the shape of virtual pins, much like your Xbox or PS3 achievements. So, what’s it got that’s better than Foursquare, the current fore-runner in this area? Well, for starters you can play it anywhere — Foursquare is limited to a few cities, mostly in the US. Secondly, Trips. Checking into a series of locations such as a series of iconic locations in Central Park, or Frank Lloyd Wrights buildings in Chicago unlock bonus pins. These are limited at the moment but there’s promise of more. Finally, it features a lovely user interface and exquisite collectable pins, stamps and location badges illustrated by Brian Brasher and David Lanham. Oh, and did I mention that it’s free? What are you waiting for? Get collecting! You may remember MUTO, an animated short by Blu made using chalk and paint on real-world environments, which we featured here a year or so ago. Here’s his latest collaboration with artist David Ellis. Dave Packer creates wonderfully humorous short films and animated gifs under the name Sheepfilms. You might recognise his stuff from b3ta.